a Division of Stillwater Electric Inc. 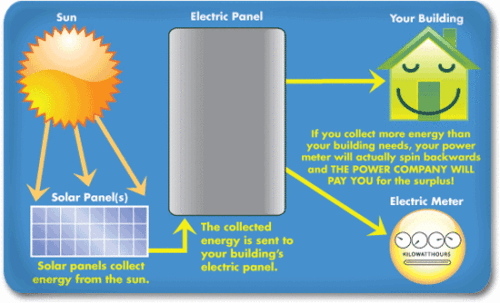 Adding solar power to your home is easier than you might think! New technologies allow for solar electric panels (known as photovoltaics) to be connected directly to your existing power panel for a simple way to offset your power consumption and cut down on power bills. 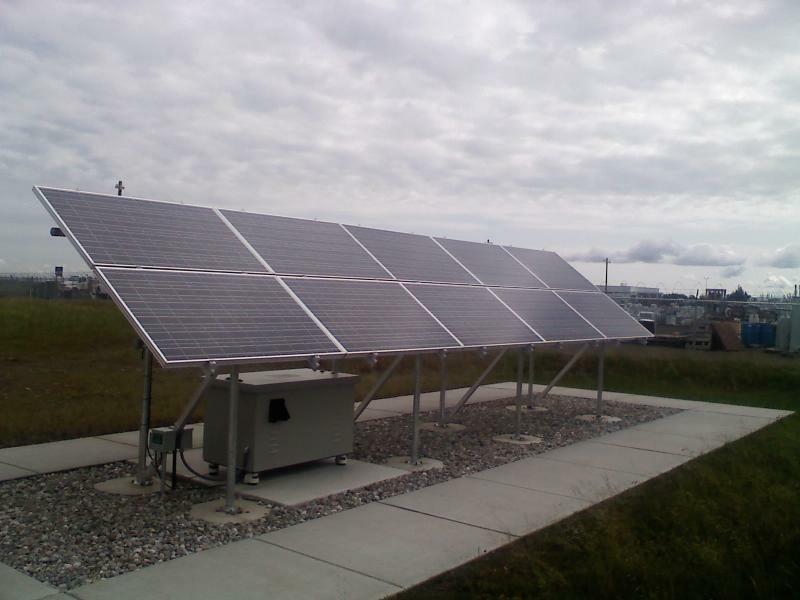 Northwest GreenTech is experienced in designing and installing grid tied solar power for both small arrays and even large scale production. Using a device known as a micro-inverter installed at each panel, we can match the power coming to you from the utility grid. When your system is producing more power than you are using at the time, your meter lite rally spins backward since your excess power gets pumped out onto the grid. As the day turns to night and the sun goes down, you begin to buy power from the utility and your meter counts as usual. Depending on the size of the array and available sunlight, you may be selling power back to the utility! Our 2000 watt ground mount system utilizes the best production equipment in the field, combined with a rock solid stationary racking system. The system includes 10 solar panels with Enphase micro inverters on each. *Base price does not include local building permits nor the concrete walk around as shown. Our price includes only an estimate for concrete and is based on no more than 100ft to the utility meter. Uneven, unlevel, or difficult soil conditions may effect the final price of the installed system. Here's an example of a ground mounted, grid tied solar array recently installed by Northwest GreenTech near Plummer Idaho. The total array size is rated at 8.5 kilowatts (kW) and produces grid frequency matched AC power. The arrays are arranged in groups of six panels and can be tilted with the changing angle of the sun at different times of the year. We use the Enphase Micro-Inverter for such projects which provides the protections required by the National Electric Code as well as handy data gathering and production tools. Click HERE to see a realtime chart of the actual production from this solar array! Copyright 2010 Northwest GreenTech. All rights reserved.